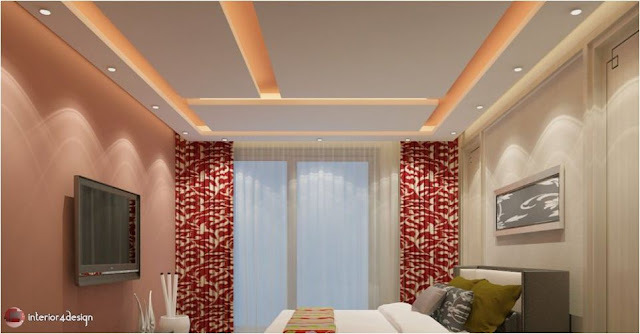 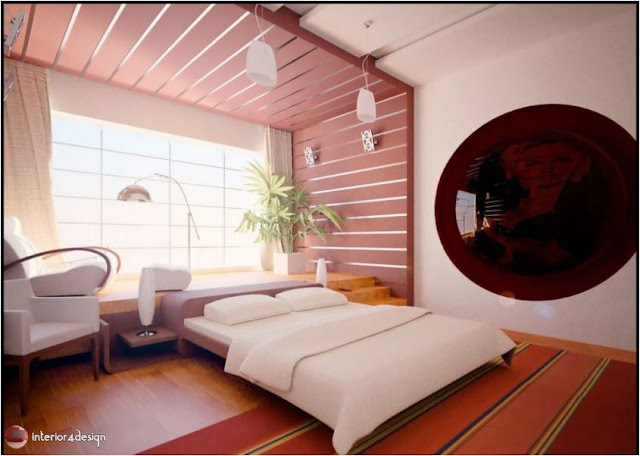 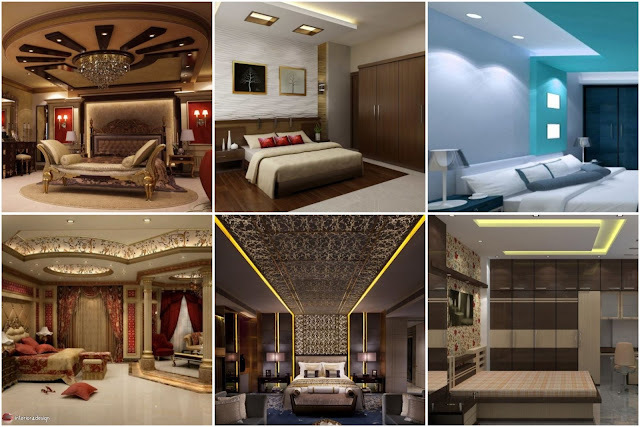 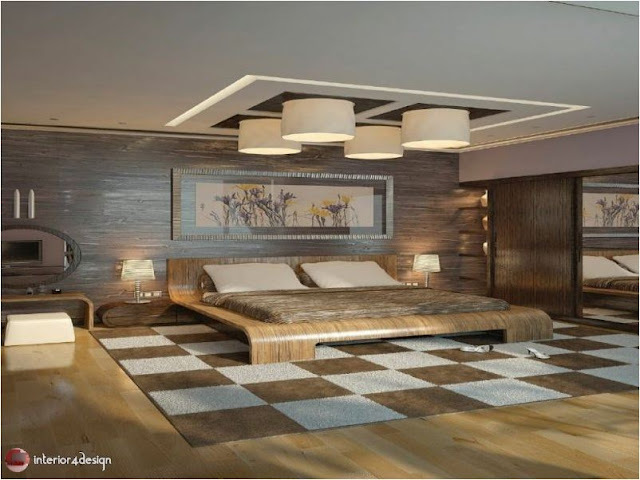 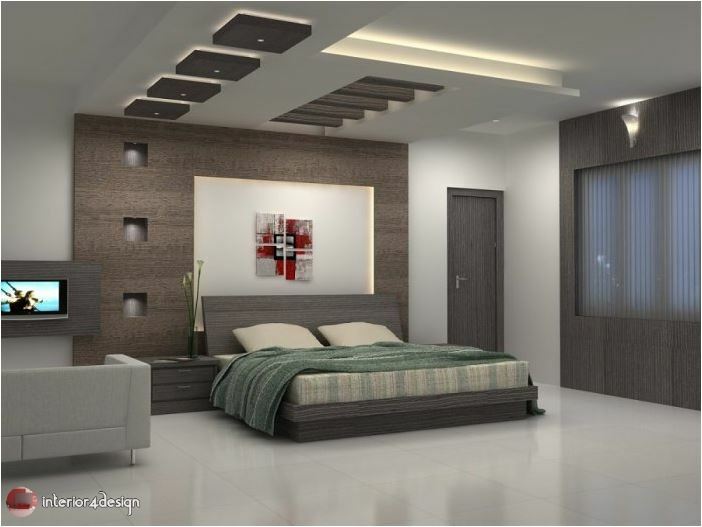 In order to make your bedroom a special place, you can rely on the designs of the different gypsum bedroom decor of the roof making it a special space like you and reflects your style in the design and details of interior decoration. 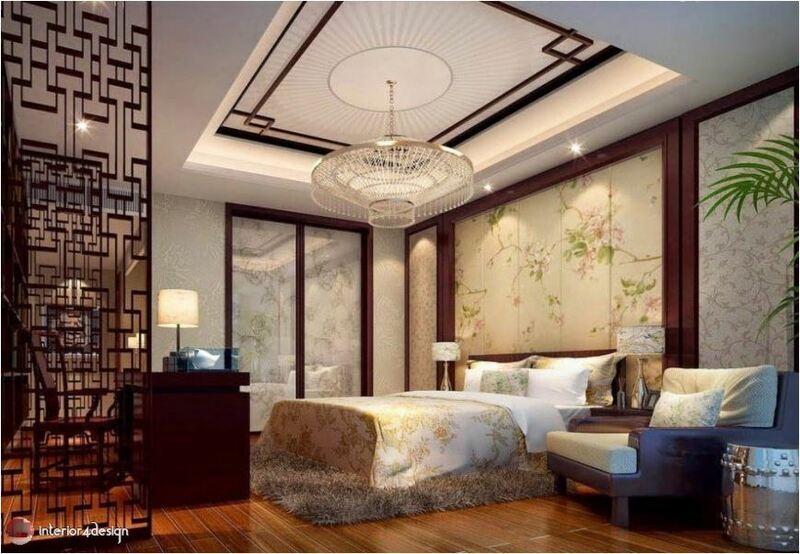 Therefore, the gypsum decor of modern and distinctive bedrooms is an important detail that we can by choosing non-traditional forms, to get a vacuum in his special style as we will see in the pictures. 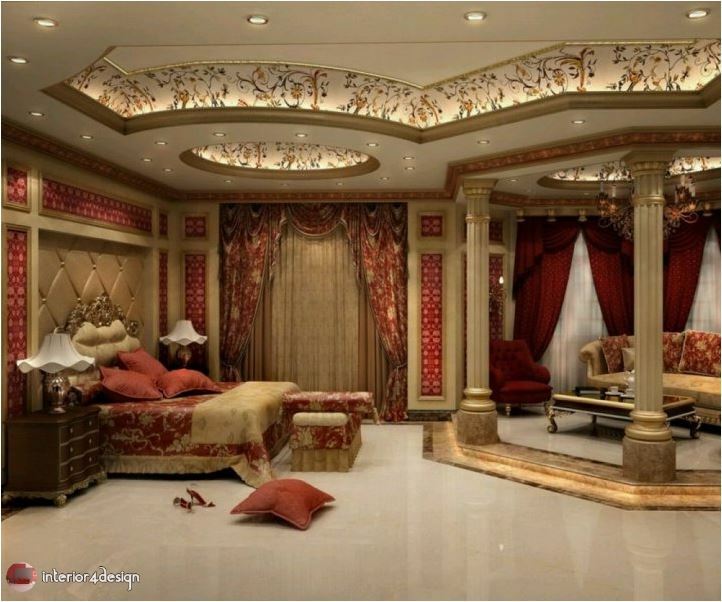 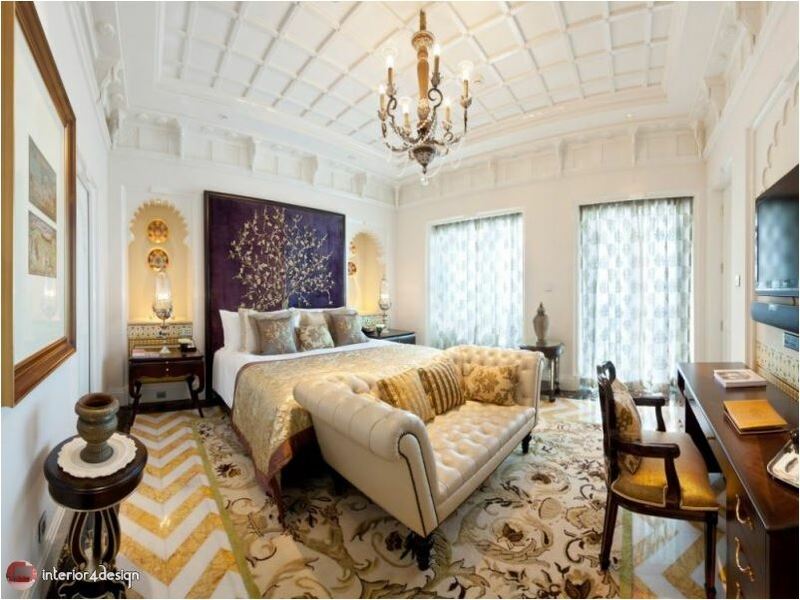 Gypsum decoration decorated bedrooms, benefiting from the flexibility to make the ceiling a painting with elaborate decorations. 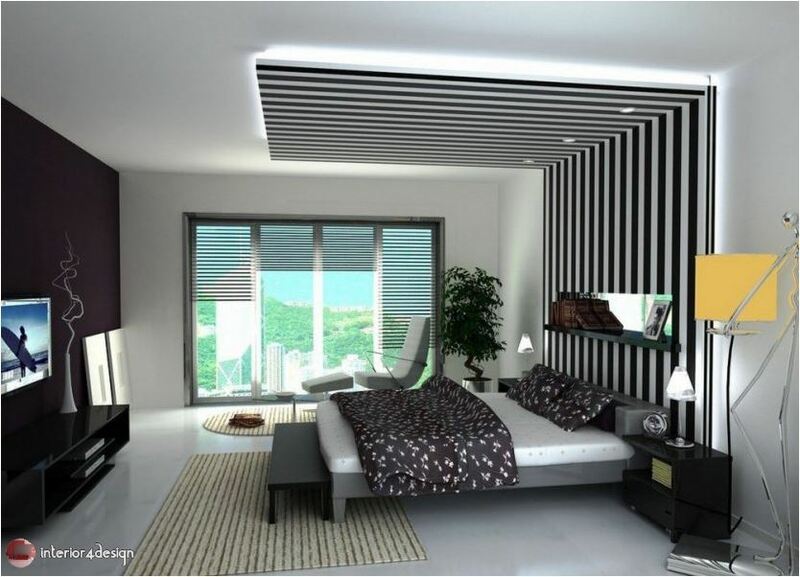 Gypsum decoration Bedrooms with simple and distinctive geometric lines as we will see in the pictures, some overlapping, and other overlapping. 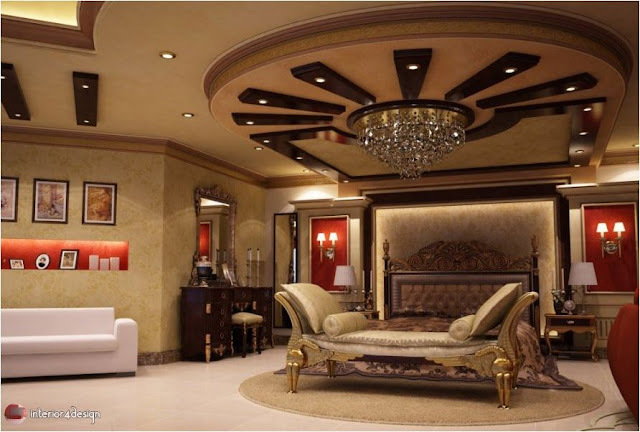 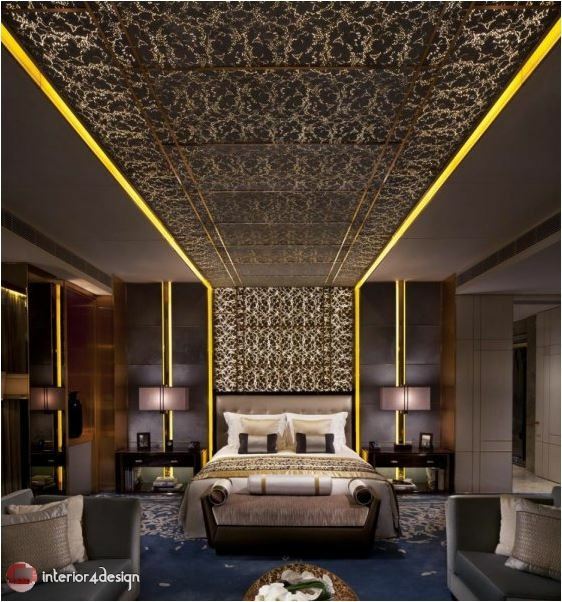 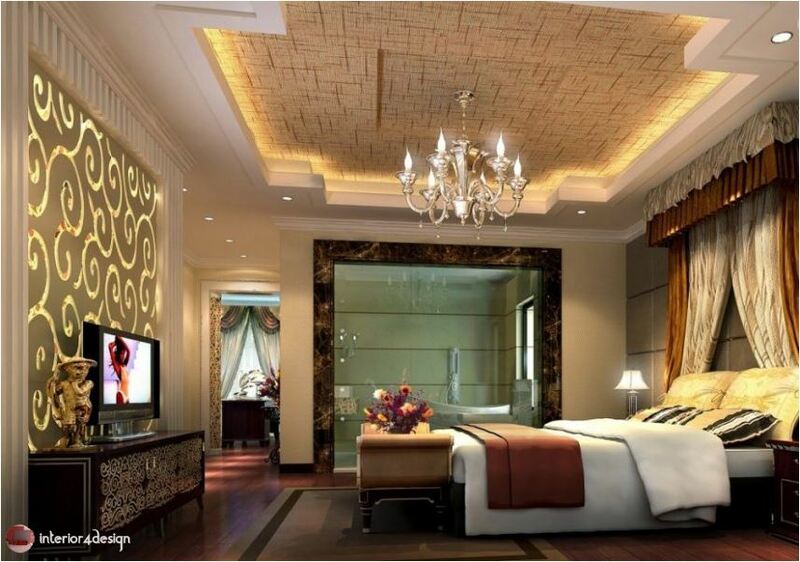 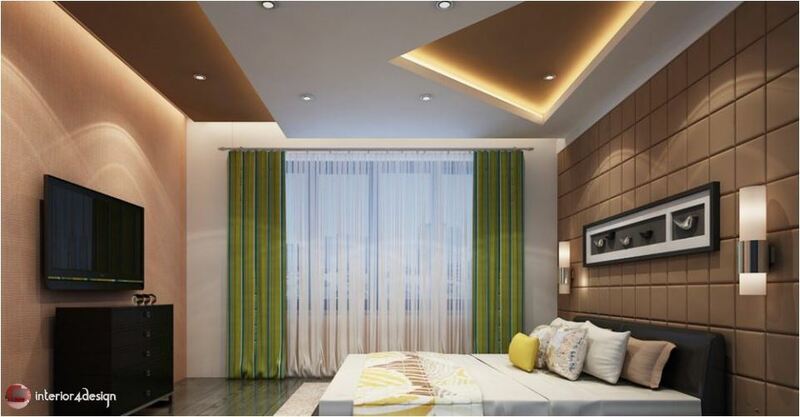 Gypsum decoration Bedrooms in circular shapes make the place of suspension chandelier clear and specific point. 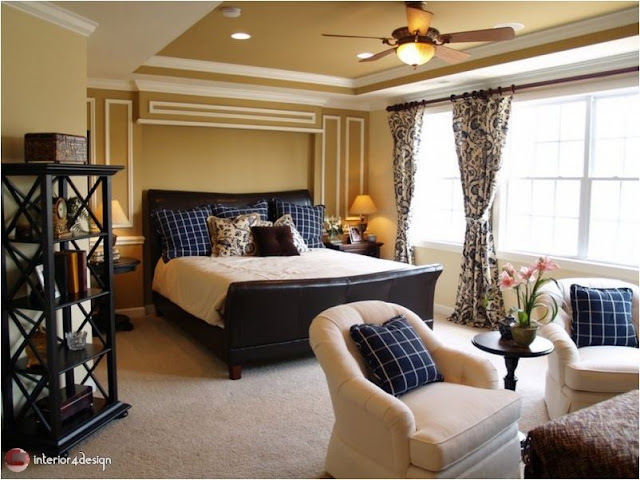 Use a variety of colors other than traditional white. Continued design from the ceiling and even one of the walls. 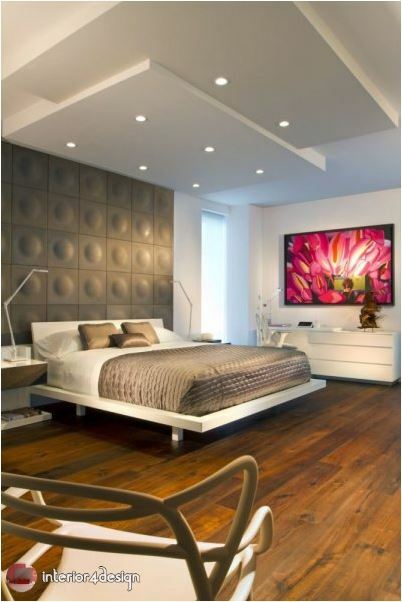 Make the design lines in the floor or in the walls of the room reflected on the ceiling of the room. The concealment of lighting and make it indirect, in addition to its use in the light of the light bulb known as the signals, which we can control the pulse of the output of which is one of the methods of lighting useful a lot where controlled by the need of them, either weak at night or strong in the case of the desire to read . 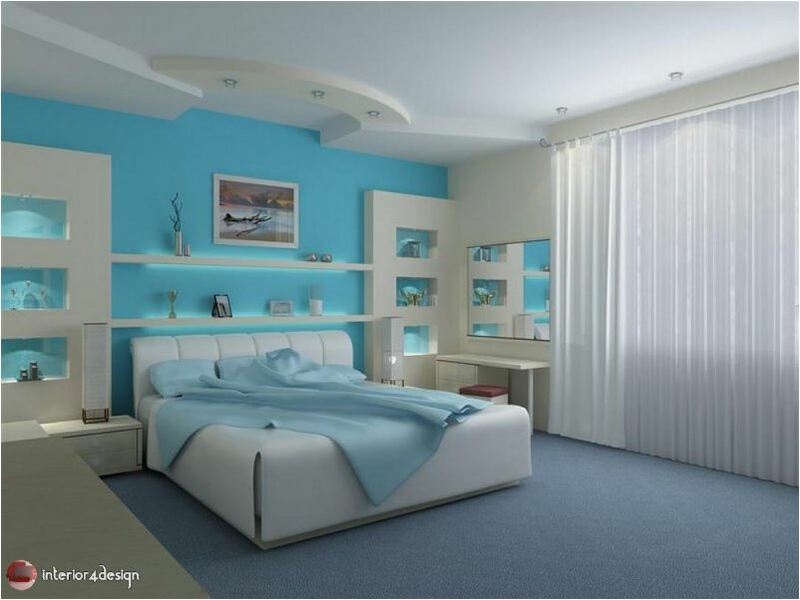 Hiding heating pipes and air conditioning within them where it is easy to repair in case of breakdown. Give the place an aesthetic touch through the lines and designs and sometimes decorations that contain them. Increase the volume of acoustic insulation through thickening. 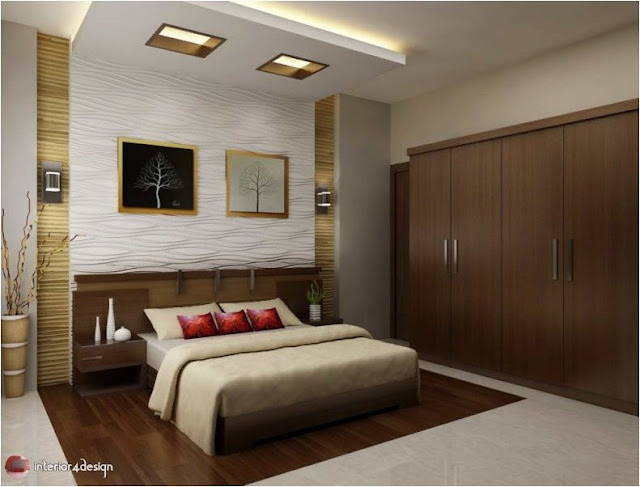 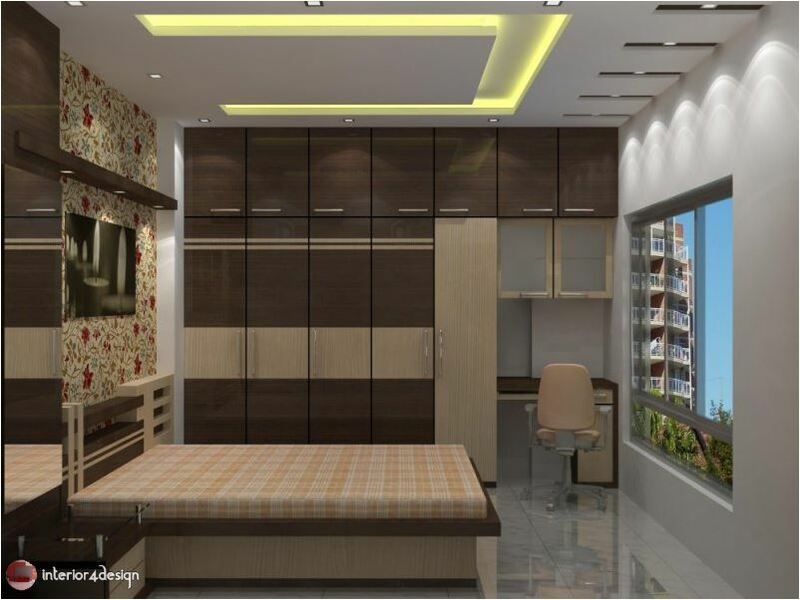 Here are a number of different designs to make your bedroom a special space and distinctive through the modern shapes we have chosen for you.